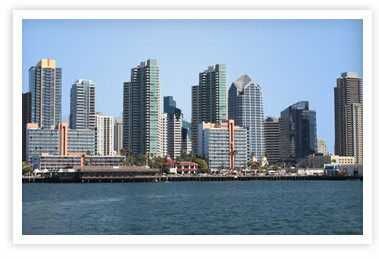 San Diego is famous for great times at the beach, enjoying the clear waters and soaking up the SoCal sun. However, if you can't indulge in the fun times because you are embarrassed of your unwanted body or facial hair, it's time you reevaluate your hair removal options! Say goodbye and 'sayonara' to the razor burn and rashes from waxing or shaving and say hello to fabulous skin with laser hair removal in San Diego. Utilizing advanced diode laser technology, an invisible beam is focused on your targeted areas to eliminate unwanted body or facial hair at the root of the problem without damaging the surrounding skin. With the advancements in laser hair removal technology, you now have a permanent solution to smooth, hairless skin! With nearly 200,000 successful treatments and years of experience, San Diego residents have travelled miles to our Orange County and Los Angeles laser hair removal clinics. We wanted to help San Diego residents by offering a nearby location with the same high standards and quality of our other locations. It has state of the art technology and highly trained staff at your side to ensure you have a true spa experience. 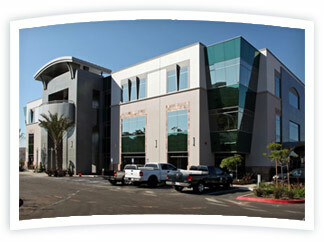 All you need are a few safe and effective treatments from South Coast MedSpa to feel brand new! *Certain conditions apply. Please contact an SCMS representative for the full details. 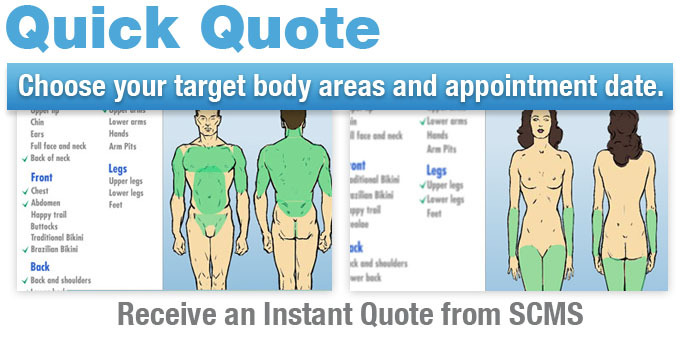 Click this image to check out the South Coast MedSpa laser hair removal gallery. 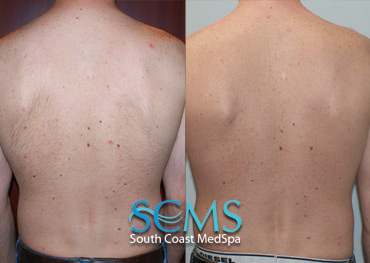 See photos of actual patients who had laser hair removal at SCMS. Get started now by telling SCMS which areas you wanted to focus on for your laser hair removal treatment. SCMS will set up a consultation for you and provide you with a free quote as well as current offers. South Coast MedSpa provides the information contained in this website for educational purposes about laser hair removal only and should not be construed as medical advice or to replace a consultation with a qualified physician. Serving the areas of La Jolla, Hillcrest San Diego, Beverly Hills, Huntington Beach, Irvine, Long Beach, Los Angeles, Newport Beach, and Orange County, California.